Spiral coupling / misalignment correction - EASY series - Bervina Ltd.
Power Transmission - Mechanical components > Mechanical Transmission > Spiral coupling > Bervina Ltd.
Bervina's easy coupling tool can be used in the machine industry. The device is also suitable for joint of rotating sign givers and servo-drives, and can be stocked with final bores. 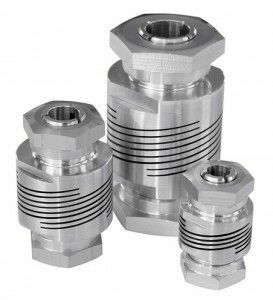 In addition, this easy coupling equipment can balance the angular misalignment of shafts, and the steady transmission of swing.